Students from Texans Can Academy – Garland recently visited the University of Texas at Dallas campus to learn more about the school, take a campus tour and begin thinking about their college and career options after high school. Twenty-nine students from the Garland campus visited the four-year university’s campus. For a majority of the students, this was their first time on a college campus tour. 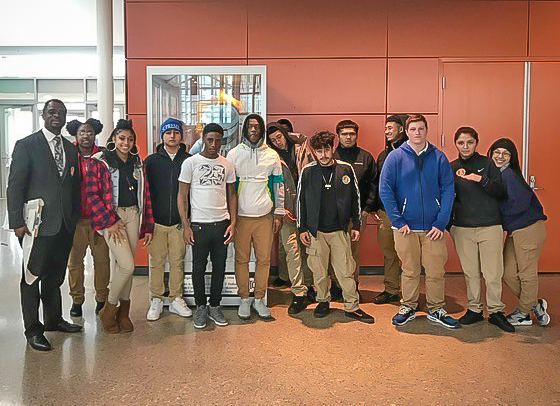 Students toured different areas of the school including the Student Union and Athletics centers, learned about different academic programs, visited student dorms and even peeked inside the robotics lab, where many students expressed interest. Texans Can Academies’ main focus during any campus tour is the exposure for their students to learn more about what direction they may want to take after graduation.